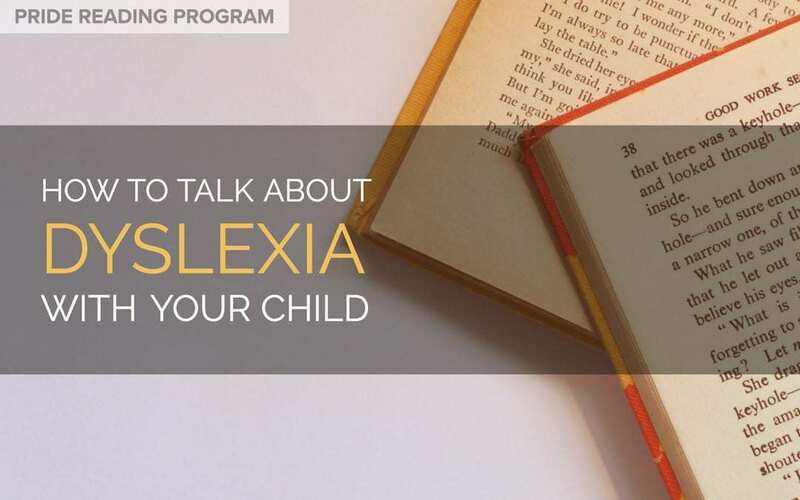 Did you just find out that your child has dyslexia? Once you find out that your child has it, you might just want to keep this a little secret. You might even freak out. But why? Don’t you want to open your mind and your heart into your new life as a parent of a dyslexic child? On today’s post, I am going to offer you some advice on how to do just that. Let your child know that they are very intelligent and they aren’t alone. Dyslexia is very common and there are 5 kids in every classroom that have it. You might use an example of someone very intelligent with dyslexia or mention famous actors, writers, musicians and athletes who have it. There are so many famous dyslexics like, Daniel Radcliffe, Steven Spielberg, Tim Tebow, Keira Knightley, Anderson Cooper, Jamie Oliver, Daymond John, Channing Tatum, Ryan Gosling, Richard Branson and the list goes on and on. You can let your child know that having it isn’t good or bad. It’s just different and nothing to be ashamed of. You and others are all here to help and support your child. When you are born with dyslexia, you become an adult with dyslexia, it is something that stays with you forever. Assure your child that they will learn to read and you will give them all the extra reading and tutoring support that they will need. All dyslexics are capable of learning to read, write and spell with the right teaching methods and the right programs. Always answer your child’s questions about dyslexia very honestly and encourage your child to express their fears and concerns and open up about their feelings. Keep in mind, they might have been hiding this from you for a long time, and now that the secret is out, they might be extremely relieved. You should let your child know that having dyslexia isn’t good or bad. It’s just different. And, while you are here… check out the PRIDE Reading Program. This is an Orton-Gillingham program that is heavily scripted out, easy to use, affordable and used by homeschooling parents, teachers and tutors with great success. Let me know what you think.